MALIBU, CALIFORNIA—A mere 30 miles northwest of downtown Los Angeles and a short drive from all that Southern California has to offer, Pepperdine University’s oceanfront location offers students the chance to study near one of the world’s most vibrant and influential metropolitan cities yet live in a safe and relaxed beachside community. 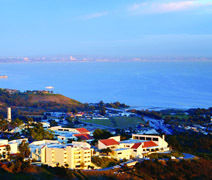 Pepperdine sits high atop Malibu’s Santa Monica Mountains, with an 830-acre campus overlooking the Pacific Ocean. As a private Christian liberal arts university, Pepperdine is at the forefront of holistically developing the next generation of leaders through rigorous curriculum, faculty mentorship, tailored research opportunities, and timely lectureship series. The liberal arts curriculum at Pepperdine serves as the foundation upon which you can explore, debate, and address life’s deepest questions and the world’s greatest challenges. The outcome is a transformational educational experience that allows you to explore your passions, enrich your life through new academic encounters, and graduate with fundamental knowledge to draw upon throughout your life. Pepperdine actively seeks out and creates ways for you to examine, challenge, and grow in your faith through general education religion courses, Convocation Series, on-campus University Church of Christ, an affiliated campus ministry program, student-led spiritual life programs, prayer and unity gatherings, service projects, mission trips, Chaplain’s Office, and Spiritual Life Advisors in the student residence halls. 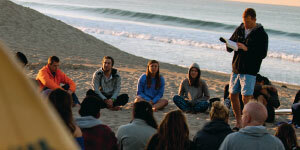 A degree from Pepperdine is highly valued and respected in a competitive global marketplace. Choosing to enroll at Pepperdine not only launches a personal, academic, and spiritual transformative journey but also a practical foundation that is rooted in ethical decision making, real-world application, and a supportive community. Approximately 96% of the 2017 graduating class participated in internships, student teaching, on- or off-campus employment, and undergraduate research. 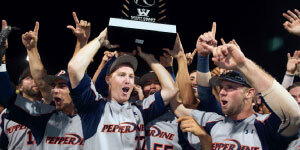 Pepperdine’s four-year graduation rate is 74%, which is approximately 32% higher than the national average.